Part of the fun with the Halloween season is to be able to create your own fun outfits and costumes to wear. 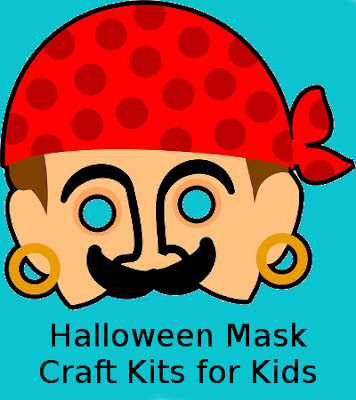 With the aid of some cool kits, kids can make up and design their own masks using a variety of crafting techniques and methods. 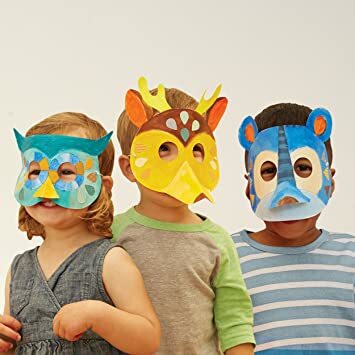 Mask making can often be good as an individual activity for older children and also when used as part of a kids group activity. This craft can make a great Fall season boredom buster as a family make and craft day too. These simple pieces of face wear can be very effective at transforming a child into the character they want to be and to dress up as. Here are some great ideas for sets that are readily available to buy that will suit both younger and older artistic and creative children. 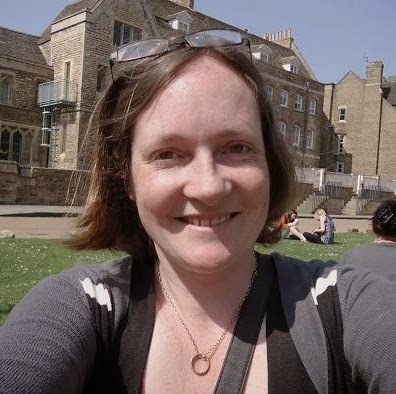 Making masks can be as easy as using some very simple materials such as paper, card, felt and foam or slightly more complex with those formed out of plaster and paper mache. 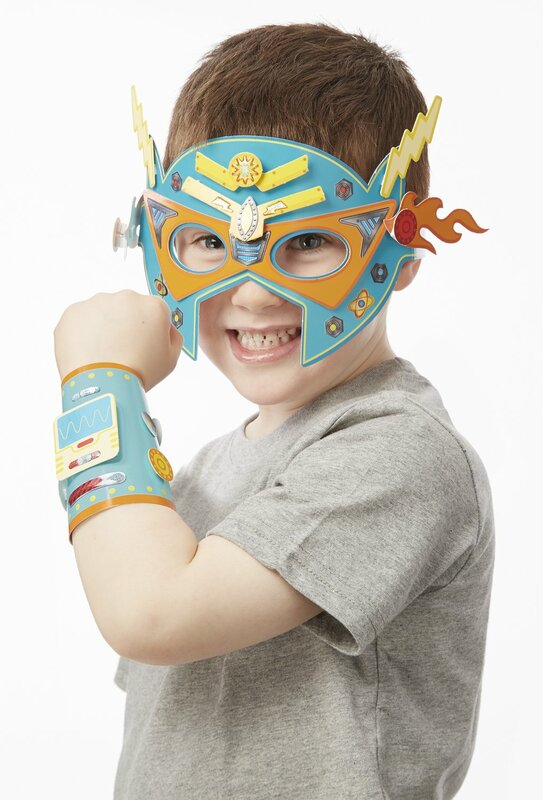 This set, recommended for ages 4 and over, allows kids to make 2 superhero masks and 4 matching cuffs. It comes with pre-cut masks and cuffs with stickers and sticky foam tabs to decorate. 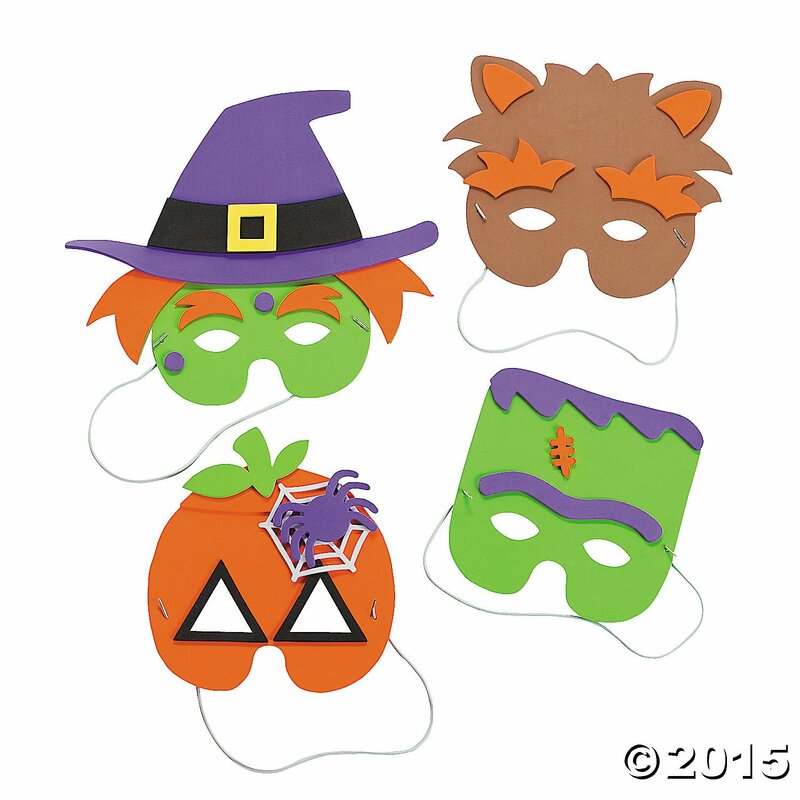 There are other mask kits that you can get which come with elastic cords ready to be decorated with pre-cut fun shapes such as hats, glasses, hair and lips. Also included are double sided sticky squares (so you don't have to use messy glue) as well as colored pom poms, fringed paper, jewels and more. If you also provide some marker pens, colored crayons and perhaps some glitter glue (coloring implements are not included) then this is a project that could keep children happy and entertained for some time. Younger children can get very creative with a set like this one and really use their imagination to create a face for a character such as a person like a pirate, an animal or whatever can be thought up. It’s a good group activity and ideal for a Halloween party or a birthday party in the run up to this occasion. You could even have prizes for the best masks made. Note: you may need to supply marker pens, paints or crayons so that the masks can be transformed from plain backgrounds in to something more colorful and creative. Paints are a messy option and often better when used outdoors. You could also transform these with glitter glue sticks or by sticking pieces of colored tissue paper on top. This set includes everything needed to assemble 6 masks. One of each: a punch-out owl, fox, deer, bear, rabbit and raccoon mask. There are 80 stickers,and 6 elastic strings included. Just add in some color. Plaster mask kits (not shown) are generally aimed at a slightly older age range for 7 plus years and may require some adult supervision. Plaster gauze is often used which hardens in water to the required shape. White mask forms to make full and half masks can be purchased to decorate using the child's imagination. These mask forms can be painted and decorated. 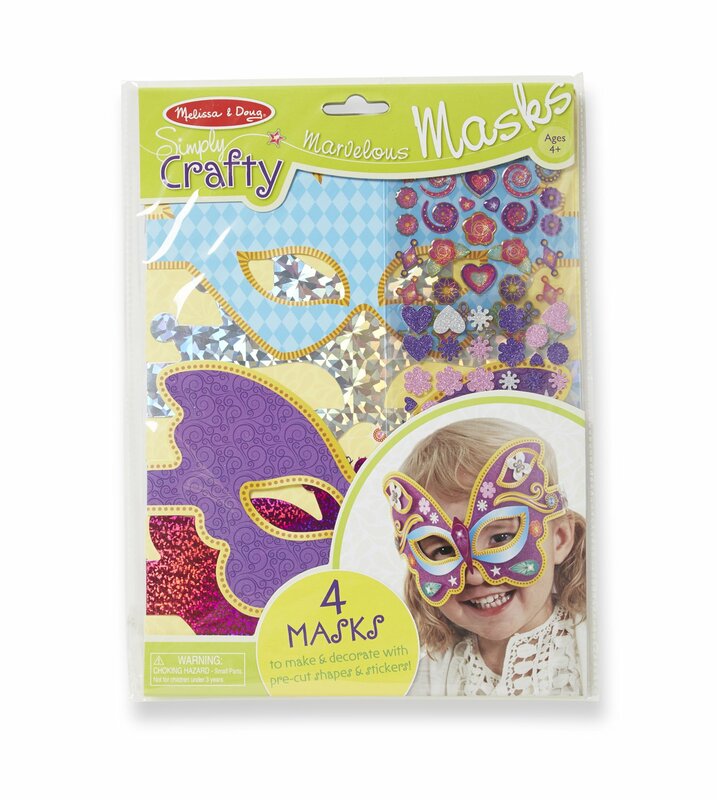 You could use paints, glitter, feathers and rhinestones to decorate the masks but you can of course add in any of your own craft embellishments as well to keep children busy and creating for longer. Once completed, this costume accessory can be used for Halloween as well as for general dressing up fun. What type of activities would you recommend in the run up to October 31st? Let me know in the comments below.